Firstly, there were a few Christmas presents I forgot ( inexcusably - sorry, Dennis!) to tell you about. 1. Membership to the American Quilting Society. Sounds daft when I am in the UK but at the current exchange rate its worth it for the magazine alone. 3. This mug from my sister who is very cheeky, but accurate in her assessment of me. 5. A whole load ( I mean a whole load!!) of thread ordered on line today becuase I am stuck on several projects without it. Don't you just love shopping when the shop is actually shut?! 1. I had my first attempt at handdyeing two days ago which was fun as I had to do it in the garage. The water source however was an outside tap between that and the kitchen which in turn was the source for the room temperature water. And of course it was chucking it down so I got as wet as the fabric running in and out. I have been denying my father's admonishments that we need a new garage door, but it won't stay up in high winds and I was in danger of being locked in there until I wedged it half open with the wheelie bin leaving me to double up to carry buckets and trays out in the gales. Did you ever wonder why artists in Victorian novels were always dying of consumption.......? I did a rainbow of 12 FQ's using instructions from this blog which has very clear and full instructions. Then I did a gradation of greens. Then I made soups out of the left over dyes at random and just dunked FQ's in to get surprise colours. I was aiming for mottled but got a bit more mottled than I intended on some but still, I like the effects. One problem I had was that I knew from communicating in advance with the owner of this site was that the dyes need a certain temperature to react which believe me was not going to happen in my garage at this time of the year. Eventually I wrapped the FQ's in plastic bags in a plastic box in a plastic sack and carried them upstairs , put the on a towel in the study and shut them up in there with a blow heater for hours. But as the process was going on I carted the beer cups of dyes/ FQ's on a tray into the kitchen put them on the ( turned off) gas ring and left the oven on with the oven door open. I am thinking that this is not a very environmentally friendly process, but it seems to have had some success although my colours are still not as vibrant as those handyes I have bought. 2. I have done some work on the Water quilt - this panel is complete and half of its identical twin is done. 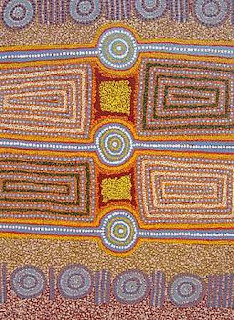 Plus the background for the panel that separates them is done - this will soon have african ladies carrying water on their heads appliqued onto it. 3. This as yet untitled quilt top. As I was making the blocks they seemed to me to be reminiscent of animals hiding behind trees. Over the day it was definately telling me that it needed a lush, appliqued jungle border so a full size pattern has been drafted and templates will be done tomorrow - applique however requires the threads ( well some of them!) referred to above. The border on the left is wider to accommodate a giraffe! 4 This little bit of silliness created just to have somthing to sample threads ( yeah, the rest of the order!) on partly for my learning process and partly for my City and Guilds 5. Much designing and auditioning fabrics for my next twelveby12 project - the design is now ready to be cut and stitched tommorrow......but I'm sorry, that's embargoed! My parents came down - slept at my sisters but came round to us for Chritsmas Day and Boxing Day as Jen was on nights so needed a quiet house to sleep in. As you can see, Dad decided to go out in support of her just after Christmas Lunch. I must have been a good girl this year as Santa came and brought lot of goodies including a MP4 with massive storage and on the quilting side, bubblejet equipment so I can do more photo quilts, 61/2 metres of fabric including these from Magie Relph and these storage boxes from my quilting buddy Lesley. And this bag which is not exactly quiting related ( except it is big enough for me to smuggle a quilt book to work in!) but has to be shown anyway. It was a free with Elizabeth Arden gift but it was the bag I coveted so Mum bought me loads of products to get it for me.... much more expensive cosmetics than I would normally spring for! but no squirrels until at the last minute .. look what skipped out of the forest. It is hard to take a day off from quilting - don't these tyre tracks in the sand nearby make good quiting lines? We then had an inspired idea - let's go down the coast a bit to see Anthony Gormley's Another Place - his 100 life size sculptures set on the beach. The trouble is they get submerged at hight tide and guess what... yup.. VERY high tide! Oh well, we just had to go home to finish the meringues and cream horns and carrot cake and sticky toffee pudding and mince pies and brandy snaps and Lebenkuchen and.... OINK! 1. Clean my house iron my clothes or wash up dishes. I do have a nephew who is now 10 who lives in N Ireland. I saw him last Saturday evening. I had a deep and meaningful conversation with him about his new step-family and how he was getting on in his education. After that five minutes I lay on the floor with him to play Playstation ( I am rubbish, but then he won't tell me the rules) and then had a pillow fight. I won because he is only 10 and so he (a) didn't work out that if he took the little 15" cushion and I had the actual sofa seat cushion he had no chance and (b) when he turned out to be quite nifty with that little cushion I just hit harder and then sat on him. This is why I am not allowed kids. I think it is called child abuse. 3. Watch soap operas, Pop idol, X-factor, Big Brother or the like. 4. Bother too much about perfection. Its the overall effect that counts. After all, if you found out that George Clooney had an appendectomy scar would it make any diference at all? Apart from you needing to strip him to find out if it was true, I mean. 5. Mark quilts to quilt or hand quilt. Bung it under the machine and scribble all over it ( call it free motion if you will) . Quick quick quick! Or tie them. Ten inches apart. Mrs X has been working on her Baltimore for the whole 2 years I have been in the class. It is exquisite but it is all she works on and frankly I am bored to death just watching her work on it. I make quilts quickly because I make quick quilts! We call them hotel TV in our house - stuff that I like to watch in a hotel to stop be being lonley even if its not the most stunning TV. Only I got addicted. I like the propery renovation- to-sell ones in particular. When the participants lose tons of cash I can sit on my sofa feeling very clever that I was so risk averse I would never do that. And when they make £100,000 on one house I can be glad for them knowing I'd rather be safe and lazy on my sofa than take such a risk! 4. Do two things at once. It is the time of year for completing things. Excuse the wonkiness - it is my photgraphy not the quilts. I have no where in the house that I can get really good flat shots. and some details of the quilting done by Chris Marriage at Father's Heart Quilting. It is quilted through fleece, with free motion stars as you can see on this one. I am also quite taken with these Rwandan peace baskets. PS Thank you to the Liverpool reader who left a comment telling me where the Christmas market was - I was close ( by the Met Quarter on my way back to Vernon Street) but never actually went to the right square! Oh well. Yesterday I found that I had some unexpected spare time mid-afternoon as my court list had 'collapsed' so I trotted off into a freezing cold Liverpool city center to see the Christmas markets I had seen signposted on the way in. Turned out there weren't any - or at least not where I though they were, so I ended up in a warm WH Smiths looking at Quilt magazines, a fairly pointless activity as I have all the ones I like on subscription. However, I fell into conversation with another browser who turned out to be Margaret Nolan of Southport quilters and she alterted me to the fact that they now have their own website. The site has lots of photos from the 2006 show they put on ( it is a bi-annual show) and as this was the first time I had actually seen any quilts in real lfe - although by then I had been quilting for about 5 months - I was delighted to see them all again. 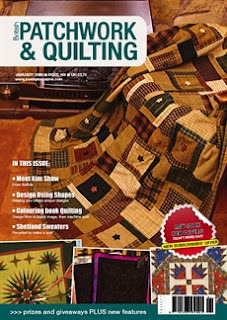 I was also pleased to hear that Margaret was looking for the latest edition of British patchwork and quilting as my article on designing with shape is in this edition. Here is the promised photo of the quilt I made over the weekend, modelled by Dennis who has been banished to the bedroom to watch football and is now snuggled under it. I think he likes the back more than the front! I am not normally prone to publicising details of my own embarassment on line but I will make an exception today in the hopes that some other beginning quilter will learn fom my lessons. I have just sent a quilt top to a long arm quilter. On that top I applied two tips both given to me by established quilters ( one a teacher). First, use Soft Touch for construction thread because its lightweight and so makes your seams lie nice and flat. Second, don't pay extra for foundation piecing paper - ordinary typing paper works just as well if you follow the usual rule of shortening your stitch length to enable easier ripping. Both tips are true. However, in combination it turns out there may be a problem! Chris, the quilter rang me today - when she put the top taut on the machine and started to plan her quliting she found one seam was a little open. Then she found another...eventually she found fifteen gaps! Now they were not obvious when I checked for loose threads and ironed it. However, it does seem that the combination of light thread and tugging thick paper out has caused some individual stitches to rip. A longarm machine does not stretch the top but it does pull it tauter than ironing does and so unravelling started and she was unable to quilt it. Panic. This quilt has to come back for me for embellishment and then go out in the post for Christmas. And Chris finishes work on Thursday. Solution? Husband from Heaven volunteered to drive to Yorkshire to get it in my car using the sat nav he is unfamilar with, as he had no idea where he was going. Fortunately I was working from home so, on his return, was able to down tools and mend it and by the skin of our teeth we got it in the post for next day by 9am delivery so Dennis didn't have to go back with it as he remarkably offered to do. Phew. I should say that Chris would normally have offered to do it for me but was just so pushed for Christmas work that she simply didn't have time - and after all, why should she?. She was very kind about it telling me it happens 'all the time' - but even so, to send a quilt out with holes in it? Mortified. Next time I shell out for foundation paper and use Gutterman cotton! I was rather confused and asked why he didn't trust Chris before, given he had never met her, and he said, 'No, not Chris, the lady in the car.' Apparently he was talking to the sat nav voice as he drove. Bless him, I think I may actually have literally driven him mad! A cheap stocking filler this time. Call me slow but it is only tonight that I have first been to U-Tube. I got there by accident looking for an audio clip to go with a Quiltland piece and of course felt constrained to stick 'quilting' in the search box and ... well lots of quilters got there before me! This is the one I picked to watch. Amateur filming but great innovative quilts! There is a related website with gallery here. 87% of readers who responded to my poll on the Quiltland blog wanted citizenship via a Ringsurf group. All it does it signify that you read the blog and will leave comments from time to time ( Oh yeah, huge ego trip going on here!) but more seriously allows you to show off your blog in a quiting group that is for all quilters not just those who are artful, crazy or who (ahem) stashbust. So by all means click on the button to the right to join. As for stash busting, well I made a quilt this weekend. Yup, start to finish - 9.30 am Saturday to 10.30 pm Sunday and I still had time to get my hair cut, go out for a meal with my parents, drive home from Penrith, prepare a brief and set up a TV and DVD and finally - sleep under the thing! Three cheers for 12 inch blocks, strip piecing and tied quilts! Photo later for you as I have to dash to work now. Regular readers will know my predliction for what I call 'Magie' fabrics - gorgeous genuine West African fabrics sold by Magie Relph at the African Fabric shop. Readers of The Quilter, the magainze of the British Quilters Guild will also have seen eth article about her fabric this edition. I casually flopped on the sofa. "There's an article here about Magie fabric," I say nonchalantly. "It's all about why you have to buy it." Dennis looks over his glasses. He is wary of Magie. He saw her bewitching sales techiniques for himself at Quilts UK when I went to her stall and told her than I needed a quarter of purple fabric. She smiled sweetly and showed me all her half meters of green and browns and reds, all of which I bought. He thinks she can put me in a trance simply by flapping batik in my face the same way Crocodile Dundee could tame a wild animal with that hand signal of his. (On that he is right.) He gives me a Paddington stare. "You said you didn't want to buy any more fabrics until the Nantwich sale in January." "I know. I'm not saying I am buying now, I 'm just saying that its a good thing to buy Magie Fabric generally. The article says so." "Because its sustainable trade and contributes to world development without the trap of charity." He looks genuinely interested. "Really?" "Yeah. People will starve if people like me don't buy. People called Musa and Esther specifically. Its their only way to make a living. Its a moral thing to do. It says so. In the guild magazine." He is a sensitive man. He doesn't like for people to be starving. He looks convinced. Then his eyes narrow. "Who wrote the article?" Too much work. Too much travel. Off now to Blackburn to work ( and park husband at coffee shop for the duration) then from there to Penrith for quilting session. Today has been a long day - our annual 1hr and 50 mins drive to the Meadowhall complex in Sheffield to Christmas shop from 9 until we get kicked out at 7. Only this year, due to the fact that I seredipitously got a large tax rebate yesterday we got a bit distracted into buying stuff for ourselves. Save for a copy of Quiltmania Meadowhall is bereft of quilt stuff ( oh except I bought some very expensive pillowcases and contemplated buying an extra set to cut up so I knew I could match the colour in an end of bed quilt throw! ), so we focused on electrical goods instead, in particular new TV and DVD recorder. Not knowing anything about DVDs I asked various 'salesmen' various questions in various shops. All answers were useless. A Sample: Q: I want to be able to pause live TV. Which players do that? A: That's a good question. Then we stumbled on the Sony Center Shop. All questions were answered in simple detail. There was no hard sell. There was a 10% sale on everything and the TV was already reduced anyway. We checked that we got 10% off everything we wanted, including the TV, then went away to think over a cup of tea. We decide we will never find a better deal and return to buy it. We find Justin, the same cheery little Yorkshire guy who helped frst time round and say, "Right, so do you want to sell us this package of DVD, TV and stand then?" "Of course. So you want me to get you a better deal? Just hang on I'll see what I can do." His manager allowed him to knock £25 of the DVD and £25 off the stand. We checked that we still got the 10% off the resulting price. Yes we did. Bargain! 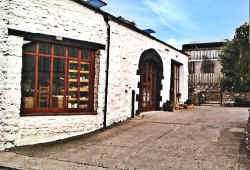 We agree to buy and he suggests that as the stock is split between a store room and an offsite warehouse,we go and do more shopping and he will ring when it is all on site. He rings soon after. We return. He apologises and says that he brought the wrong stand over from the warehouse but as he was intending to carry all our stuff through the mall to our car anyway he suggests we just drive with him to the nearby warehouse and get the stand on our way home. Fine. Justin puts the order in the till with the manager instructing him how to do the discount. By this time it is gone six and I am dead on my feet. I have been handing the credit card out all day and knowing we have done the deal already I am slow to react when he tells us the sum due and just stick my PIN in. Then, with receipt in my purse, my brain starts to go.... hey, hang on that can't be right, can it? But Justin looks happy. Dennis - who can count in his head - looks OK with it, so we leave. Just as we get to the door there is a little conflab between Justin and the manager and then he bounces out, all smiles, to meet us. He waits until we get out of earshot of the shop and then says, "You got a good deal there you know. We did the discount wrong and gave you too much." I still can't get my head around it but we establish that he is not going to lose his job and that the shop policy is - we made the mistake, customer wins out! How far is that from my Carcraft experience?! So three very loud cheers for Sony Centre customer service ethic..... especially as we later realised that they had not given us £25 off the DVD and the stand. They had sold us them for £25! The extra discount over and above what we expected was £364! Ok, all your wonderful comemnts on my stashbusting posts have gone to my head... I just love it when people tell me I made them laugh,a nd really I have yearnings to be a magazine columnist, so I have created a brand new forum for you to be entertained in.. The site is only just created and will be updated and revamped in days to come. I intend it to have the same kind of amusing and surreal posts you have enjoyed in the past few days whilst I shall reserve this blog for real life rants and show off items. Quiltland is my creation but you can of course all contrinute. Ithas its own email address and may well grow and grow in the future into a whole website. Or, I might get fed up of it. Eitherway please vist me because the more vistors, the less chance I'll get fed up! Please tell other people about it too. Today my advent present to you is a novel to curl up and savour. ‘I have been asleep for forty years. This is what I need: this fear, this risk, this wind rocking my wings. This is what I have been missing. This is what it means to be alive – up here, on the edge of death.’Cat Munro’s safe, carefully-controlled world as a corporate lawyer in Phoenix is disintegrating, and she is diagnosed with panic disorder just before her fortieth birthday. In a last-ditch attempt to regain control of her life, she faces up to her greatest fear of all: she decides to learn to fly. As she struggles to let go of old memories and the anxieties that have always held her back, Cat faces a choice: should she try to piece her old life back together again, or should she give in to the increasingly urgent compulsion to throw it all away? Several thousand miles away in Scotland, Cat’s mother Laura faces retirement and a growing sense of failure and futility. Alone for the first time in her life, she is forced to face the memories of her violent and abusive marriage, the alcoholism that followed, and her resulting fragile relationship with Cat. But then she joins the local storytelling circle. And as she becomes attuned to the mythical, watery landscape around her, she begins to reconstruct the story of her own life?… . From the excoriating heat of the Arizona desert to the misty flow of a north-west Highland sea-loch, Sharon Blackie’s first novel presents us with landscape in all its transformative power. 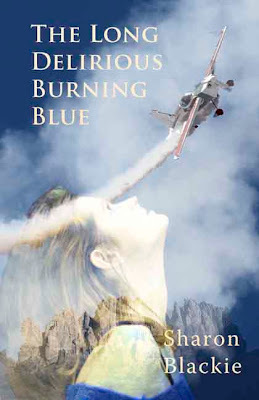 An honest and moving exploration of the complexities of mother-daughter relationships, The Long Delirious Burning Blue is above all a story of courage, endurance and redemption. This matter came before me today for interim judgment as to whether the material posted on Ms Conway's blog on .25th November 2007 constitutes libel of the Stashbusters group. In fact, unusually the action has not been brought by a member of the group but by the potential defendant who seeks an advance declaratory judgment. I understand her motive to be that she needs to be sure, before she swells her own stash with a large amount of fabric, that the same funds she intends to expend will not be called upon for payment of damages in a libel action. The first issue for determination is one of forum, that is the correct jurisdiction in which the action should be brought. It is clear - as Ms Conway pointed out with some glee - that her post has been read by many people around the world. That therefore raises issues of the domestic law of all the countries involved - so far including Australia, USA Germany, UK and the Nethelands. I am of the view that Quiltland is the correct jurisdiction for her to choose, existing as it does to create a united state for all quilters. It is a fairly newly established legal contsruct ( yesterday in fact) but has as its purpose a safe haven for all international quilters to retreat into when the law of their domestic states is insufficient to meet their interests. I understand the primary purpose to be the establishment of a common currency and trade area. This of course stems from the need to protect quilters from the dangers of domestic bakruptcy laws being applied to them in circumstances where all, or the majority of their insolvency is textile purchase related. I understand that it was in fact some, if not all members of the Stashbusting group, who, because of their past, profligate behavor, lobbied for the creation of the QTZ (Quilt trade zone) in which one FQ (the main currency which in turn divides into 100 scraps) is equal to 1/1,000,000th of any domestic currency unit for purchase calculation purposes. It seems to be then, that benefitting as they do from the devaluation of their debts in the Quiltland jurisdiction, it is impossible for them to argue that the status of their group cannot be determined by recourse to the same jurisprudence. I am therefore satisfied that I have jurisdiction. The main question before me for determination then is whether the material in question ammounted to libel. In UK domestic law the term libel means, "A false publication, as in writing, print, signs, or pictures, that damages a person's reputation." As there is as yet no case precedent in Quiltland for that term, it is open to me to create such definition. It seems to me that law should reflect the composition of the community it regulates. I thus define libel in Quiltland to mean, "Would a quilter feel that the publication was so damaging to their reputation that they would be willing to miss a trip to a quilt shop, class or show, to take the opportunity to rectify the impression given of their character by the publication?" The piece in question revolves around the fact that the group were called a cult and 'especially faddish' because of their adhesion to a principle of not buying fabric for a year. On first reading of the papers it certainly seems that, given the very purpose of Quiltland, it must be a subset only of the population who are not intending to maintain or indeed swell their stash. However, it is not a question only of whether it is incorrect to term Stashbusters as 'especially faddish' but also whether to do so would damage their reputation to a suficient degree. It seems to me - and here I take judicial notice of my own experience in the quilt world - that given that is is seen as perfectly normal in Quiltland to have impassioned debates about, and even publish books which relate at least in part to the issue of, whether fabric should be pre-washed or not, all subjects of the land must be deemed to be faddish in that they fall in one camp or the other. Further, it appears perfectly normal for Quiltland subjects to have impassioned views on how to fold a FQ or whether to hand or spray baste. So, it seems to me that especial faddishness is in fact a national trait and thus cannot be libelous. If I am wrong on that ( and I cannot be since I created this court and did not at the same time create an appeal court, but for accademic interest, if I was) then there is another consideration. The blog entry was based on an analysis of the Stashbuster's rule of No Buying. Since the blog post in question was written there has been additional evidence submitted to the court which is now appendixed to the original post in the way of comments. It is clear from that that the 'rule' is no such thing. For example, Sandy said, "Love the Stashbuster piece. But listen you CAN join us ... many of us don't join the NO BUY. LOL" Peggy B ( posting as anonymous) said, "no one has to go "No-buy". Greenmare said, "I can certainly testify that I am no WAY on no-buy,"
"Even in the no buy challenge, it's allowable to buy backings, borders and bindings, and anything you have run out of that's absolutely required to finish a quilt." It is clear to me that anyone wanting to finish a quilt for which they had no suitable material to start with would thus under this'rule' be able to buy everything required. Given the discretionary nature of fabric choice this rule is so open to interpretation that that the traditional coach and four might be driven through it all the way to Houston. Ms Conway's complaint was of the sneaky seductive nature of the group. From the evidence I have before me it appears that the group portray themselves publically as stashbusting. However, in private the position appears more murky. Margeeth, for example confessed that having stashbusted she is now going to dye fabric to replace the stash. It is clear to me that this is a group of lovely people. However, I believe them to fall into one of two categories. The existence of such sub-groups within a Ring and the nature of the psychological tactics I have just described are, in my learned opinion, characteristics of a cult. Thus, being true, the original piece cannot be libellous. I thus grant Ms Conway the impunity she requires to stashswell. As to the question of the costs of the litigation clearly Ms Conway has won and the general rule in civil litigation is that costs follow the event. I see no injustice in making Stashbusters bear the cost of this important test litigation and thus I order each member to pay 1 FQ to Ms Conway. Given that such an order in fact meets the stated objective of the group I can see no reason to stay such an order or allow payment by installments of one scrap per week as suggested. Now you have seen the price you will understand why I have never actually been to this place. Indeed until I heard the chef being interviewed on Michael Parkinson's Sunday Supplement on BBC radio 2 last week( you can listen to the interview on playback here until the next programme starts on Sunday at 11am) I had dismissed what I had heard of his food as pretentious tosh. However, you will see that your fish course is to be 'Sound of the Sea'. This is a glass platter with sand trapped between the sheets. Ontop a sand like base is made with tapioca, edible seaweed is added and frothed oyster replecates sea froth. The seafood you eat is served on top with a conch shell on the side. In the conch shell (and this is where I started to laugh) is an Ipod nano. You put the earphones on and get the sound of the sea while you eat. Oh, Ho-Kay! But - bear with me. This stems from research they did as to how your taste and perception of a dish is affected by the sounds you hear when you eat it Suddenly I got it and now I want to go because really its just design and embellishment with food. Ok I accept there are moral issus with some pepole for using food as play ( and about the fois gras on the menu so skip that course if you like) but I do think it would enhance or quilt design processes to experience his art at a group meal, no?! I mean - what music do you think people should be listening to while they look at your latst quilt? 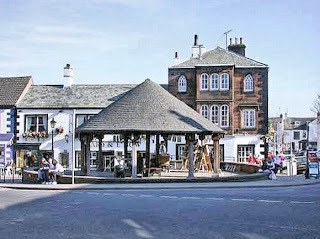 Today my virtual gift to you is a weekend away on the edge of the English Lake District in the market town of Penrith. 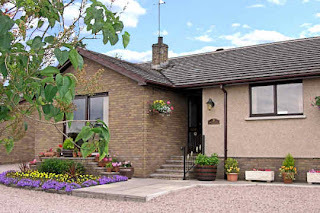 You will stay at this lovely home from home bed and breakfast. After your traditional English breakfast you can wander around the village to see the aplpaca farm, or take tea in my favourite tea shop. 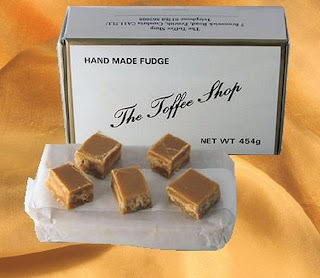 Just down the road is the famous fudge shop and while you are there you might lie to take a Baltimore class at Morceau just three miles from your accommodation. Or, if you want a break from quilting why not check out the mountains and lakes? This week at my City and Guilds course we did some dying samples. We didn't actually do anythng that I didn't do with more fun and interest on Magie Relph's indigo dying course except that this time we used Dylon cold water dye rather than an indgo bath. At first I confess to be rather sceptical as I was shown samples which frankly I ( in my arrogance) thought childlike and splotchy. Not what I had seen for sale or on blogs. I was also surprised to be using Dylon which I thought was a kind of general household dye for changing cushion covers - all the professional dyers I had read about seem to use Procion MX dyes. However, I was quite pleased with the results when I got to rinse them out today. 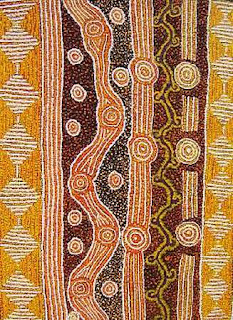 The colours are not 'me' as we had to use the primaries we were given inititally with no mixing but I like the outcome in pattern terms. This one was folded and elastic bands wrapped around the strip at intervals. This one was just gathered in a long tube from the middle of the fabric and bands tied around it. This one had lots of little 'pinches' all over it held with elastic bands. This was me breaking the instructions and mixing blue and yellow becaused I craved green. Ironically it was at the point where I wiped out a tub with some scrap fabric and created this subtle pink shade (on the left)that I got interested! I started to mix left over dyes and got this range and then of course I suddenly had a desire to hand dye acres of fabric in a whole range of gradations..... I never do anything by half! I found this fantastic site on dying and was even lucky enough to get a very speedy and lengthy response to an email I sent with a query today. As a result I now know that I was right about using Procion MX dyes (Dylon is a form of pre-mixed Procion MX and other types of dyes but its hard to get primaries and although each package is only a couple of pounds, per gram its expensive in comparison so I am told). So I am of now to research purchases. I have discovered that there is an invidious cult like group around called Stashbusters. They seem like normal people. Their blogs are wholesome and show cute babies and snuggly quilts. They have a button that looks like any other button and their doctrines as portrayed on their blogs look mainstream. They have bought a lot of fabric and they want to use it up. They want to support and encourage each other to do that. What nice, responsible people. When I first found them I thought, yeah, I'd like to join them. "The purpose of this group is to support those quilters who wish to cut down on spending for one year, and reduce their stashes....."
"You can join and start "not buying" anytime during the year..."
"A group generally considered to be extremist or false, with its followers often living in an unconventional manner.....Obsessive, especially faddish, devotion to or veneration for a person, principle"
I mean how many quilters don't buy? And not buying for a year. If that is not 'especially faddish' I don't know what is. So I thought it my duty to warn you to resist the false teachings of this group. Their gospel sounds perfectly plausible, laudable even. They are right that you have bought lots of fabric that is sitting in your cupboard. Enough that you could quilt for years without buying more. You are more a fabric collector than a quilter. You are hoarding the stuff. Hear those sibilant arguments seducing you into joining them. Or, if you push it, watch them move to threats of dire consequences if you ignore them. That fabric is going to kill you. It will fall on you and smother you. OK, OK, you cry. I want to live. I repent my hasty purhases of Moda jelly rolls and Loni Rossi Fat Quarter packs. I believe. But lets take this to the logical conclusion. You sew up all your fabric and then what? You don't have any left. So what are you going to do? Sigh, and turn to trainspotting for a hobby? No, you are going to go shopping and create a new stash. But before you do that you are going to go through the pains of de-programming. You are going to have shaking hands, which long for somthing soft ( or crinkly or silky) to stroke, you are going to have headaches from carrying around half baked ideas for quilts in your heard that you cannot translate to planned projects. You are going to suffer. And don't let them con you that you will find the succour of companionship in their midst. Because whilst you sit at home trying to find a way to get your neon blue spacemen novelty fabric to fit with the Liberty Lawns, your real friends are out draping cottons at the local quilt shop and razzing it up, bags a-bulging at the international shows. So what do the leaders of this invidious movement stand to gain from sucking you into their schemes? I believe a careful examination of their practices reveals all. I found a blog testimonay recently in which a senior group member praised a neophyte for managing, for the very first time, to delete emails advertising fabric sales without even reading them. Thats it! The Ring leaders are simply out to beat us to the sales. It is a fabric grab! But getting rid of a cult is not that easy. I bet, even as you read this, a little voice on your shoulder is saying, "Ha, funny. But you know, I do have quite a big stash. Maybe I should join the ring..." See, that's how cults work. They start with a good point, a legtimate premise and present a flawed solution to it. So the best way to combat them is to find the true solution to the stash issue. To that end, I commend to you the concept of..... Stash Rotation. Once there were two farmers. Both of them had one more field than they needed. The foolish farmer decided to use up the field and built a log cabin on it with courthouse steps leading up to it and dormer attic windows. The first year he was warm and snug in his house and he bragged to his neighbour farmer that he had made good use of his field and had no need to replace it because he had an heirloom house with a label on the back for good measure. The wise farmer however, just kept his field empty. 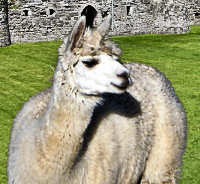 Everynow and again he would go and rub his palm over the soft grass growing there. In the second year he did the same whilst the foolish farmer took another of his fields and built a Schoolhouse block on it. The wise farmer went out and bought another field that he didn't really need but, becuase the grass in this field was so soft he preferred to stroke this crop and started to use his previously empty field. In the third year the foolish farmer decided that he could live on even less food and decided to build a railfence around another of his fields and donate it to charity. The wise farmer bought another field and started to use last year's field. In the fourth year the foolish farmer's crops began to fail. He paid an international field teacher to appraise his fields. The teacher looked at them through a reducing glass then took an arial photo in black and white. "Oh Dear," she said, "you have value blight. You have failed to renew your fields. You should let one or two lie fallow so that when you need the hue or tones found deep in the soil they are available to you. That is why your fields have lots their vitality and become monocromatic and inspid. You should be like the wise farmer who rotated his fields, using some new and some old and always keeping a range of hues and values available in his soil." The foolish famer wept and rent his clothes but yea, he was still low on fields. The wise farmer however, having to fund all these fields was also working overtime as a Good Samaritan and, seeing the foolish farmer in need of half a meter of hedgerow did donate it to him as, in truth, the foolish farmer was not evil but, as I have been saying all long, only foolish. 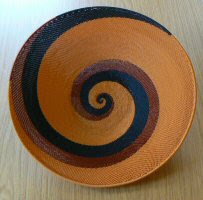 Today I am going to 'give' you a collection of buttons made in my favourite country South African and available from http://www.injabulo.com/ I am even throwing in this basket made of telephone wire and styled on a traditional zulu cooking pot to toss your buttons in.